[By Nick, New for 2013, discontinued before 2016] Ever since my fairly positive encounter with Ben & Jerry’s Liz Lemon earlier this year, I have been seriously craving lemon flavored desserts. 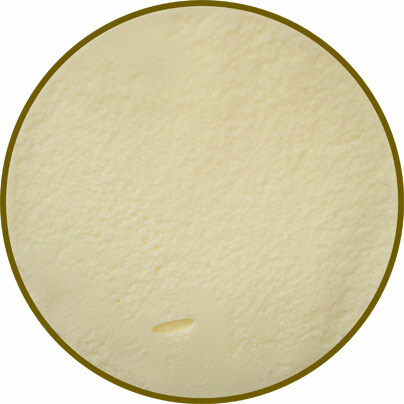 A quick glace through the freezer isle shows that lemon is a very neglected flavor when it comes to creamy applications. Sure there are tons of sorbets and Italian ices but there is little to none of it in ice cream form. So with one Haagen-Dazs gelato under my belt and a hunger for some lemon goodness, I thought it would be the perfect time to pick up Haagen-Dazs Limoncello Gelato. Haagen-Dazs describes this one as “creamy lemon gelato with vodka.” Now I normally stay away from alcohol infused flavors since I’m straight edge and so I’m not really sure what to expect. However, one of my alcoholic versed friends informed me that vodka is essentially flavorless. Well okay, but then why would they include it in the first place since it adds no flavor? Whatever the case may be, I was less hesitant to give this one a try than I originally was. With the protective seal removed, the gelato is a very light shade of yellow. I appreciate that since it looks natural just like the flesh of the lemon and not the rind as depicted on the label. Like the other H-D "gelatos", the texture is nice and smooth but in an ice cream sort of way and not quite velvety like a true gelato. As for taste, it reminded me of Ben & Jerry’s Liz Lemon albeit not quite as tame. There are a bit more citrusy elements going on but there is no tartness to speak of. I enjoy that because it really lets the lemon flavor shine through without it being too overbearing or distracting. As for the vodka, well I couldn’t sense anything at all so I guess my friend was right on it being flavorless. That or I just have the palate of a two year old. Either is highly possible. All in all, this is a very solid base offering from Haagen-Dazs. It’s not going to blow your mind but it’s going to leave you satisfied. While I still can’t call it gelato, it’s a very respectable treat. Okay I’m going to be honest; there was an ulterior motive for me picking up this flavor. See, I really want to try a lemon cookie ice cream but no company around me offers it. Seeing as Haagen-Dazs is the only one to make a lemon base that isn’t sorbet, Italian ice or sherbet, they were my only choice if I was going to make my own respectable lemon cookie flavor. A few crushed golden oreos later and there we have it. This addition easily turned this flavor into an all-star. There’s just something about the sweetness of the golden Oreos that mixes perfectly with the zesty lemon base. Haagen-Dazs, if this gelato thing doesn’t work out, you can use my idea for a limited edition flavor next year! Careful, Nick, or you're going to give them ideas for next flavors. I won't be surprised if we see lemon cookies or lemon bars as mix-ins in lemon-flavored ice creams or yogurts in the future. I don't think it has been done yet but with the new lemon flavors by B&J's and Haagen-Dazs, I won't count them out. @Stride: I wouldn't mind that one bit aha. As long as the lemon base isn't artificial or overbearing, I'm all for more lemon flavors. "Well okay, but then why would they included it in the first place since it adds no flavor?" "the texture is nice and smooth but in an ice cream sort of way"
Golden Oreos work for everything - I approve! @Dana: I have the grammatical competence of a 4 year old. @Danielle: Not so much with chocolate ice cream. @Dana: are you implying the vodka makes it smoother? messes with the freezing point perhaps? If you can get a hold of Turkey Hill, their Southern Lemon Pie flavour would be right up your alley. This looks really boring, almost like they were trying to make a boring flavor. @Olivia: I saw there Lemon Pie and passed on it this year. I'm not a fan of shortbread cookies at all. However, I've heard a lot of positive things so I might just have to grab it when it returns next year. @Dubba & Dana: Oh wait, I thought Dana was commenting on my grammar. The texture was no different than the other gelato I've tried from Haagen-Dazs so the addition of vodka didn't change it. I agree with Olivia. TH's lemon is perfect, especially the marshmallow swirl! Yes to vodka inclusion explanation, no to grammar mocking :) Not this time anyway. Yes, the vodka is supposed to help with the texture, most homemade ice cream recipes recommend adding vodka (unless you want some flavor from a flavored alcohol), which of course you don't generally see in mass produced ice creams. It's likely that their process or this particular recipe needed the alcohol to match what you experienced in some other gelato. @Dana: aha okay, my bad. To be honest, I think they only added it to continue with their "Italian" theme. Lemon gelato would be too similar to the Lemon flavor they had in their 5 line so the inclusion of vodka makes it technically different. I could be wrong but I still feel like these gelato flavors are all just a re-branding of the 5 line they replaced. I do not believe it contains alcohol. (I assume) the only reason for them to insert the word Vodka, is because "limocello" is a vodka based lemon zest drink. Apparently this ice cream is "Lemonzesty" flavored not just lemony. @zest: skim milk, cream, sugar, corn syrup, egg yolks, lemon juice concentrate, vodka, lemon extract, pectin. contains: milk and egg ingredients. @Zest, there is vodka but the alcohol is cooked out beforehand. hi. Thank you for the article. How do you know for sure that the vodka is cooked out? A friend of mine wants to try it and is a recovering alcoholic. Thanks! @Jay: The alcohol must be cooked out or they wouldn't be allowed to sell it to minors. Try it sprinkled with fresh, ripe raspberries. Oh Em Gee! SO very delish! I just bought this at the grocery store thinking that it would be similar to the amazing lemon gelato that I had in Rome. I was disappointed. it was good but didn't taste anything like the Italian gelato. It was more like an ice cream with a lemon flavor that was too bland for me. Oreo just put out a Lemon Oreo. 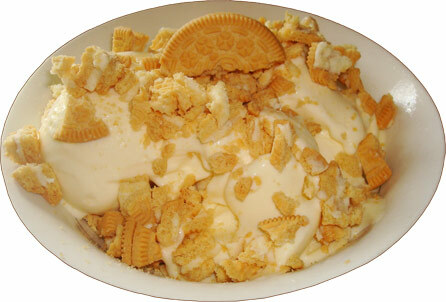 I hope you update your "Lemon Cookie Ice Cream" review wit it. FYI: Lemon Oreos arent new, they debuted in 2014 and were preceded by a lemon twist oreo that debuted in 2012. Well, darn, first I've seen of them. And the local market listed them as a new item. Anyway, why go with Golden Oreos rather than a "true" lemon one? Yes, the alcohol lowers the freezing point, meaning less ice crystals and a smoother texture. No, the alcohol is not cooked off. It is less than 1/2 of 1% by volume and therefore is not legally restricted. There are many foods that contain small amounts of alcohol. Aside artificial vanilla and almond extracts, it is in chewing gum, protein bars, soft drinks, sauces (including some mustards), many desserts, cheese, very ripe fruit, and many others. 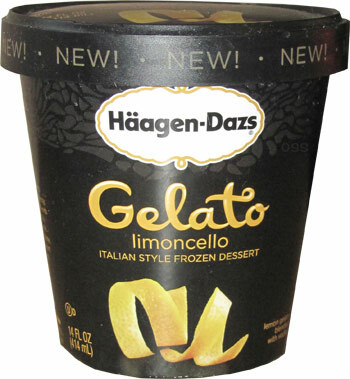 I had the Haagen-Daz Limoncello Gelato for the first time today and was completely blown away (from the taste, not from the alcohol). It tastes amazing. I assume you are referring to "sugar alcohols" in some of those products? 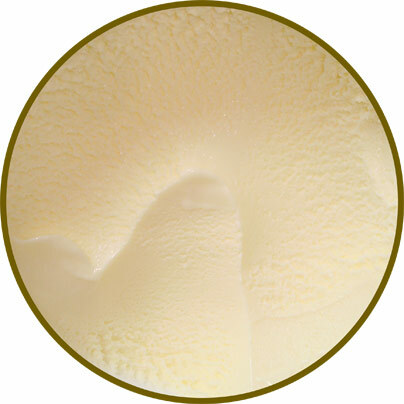 Anyway, glad you enjoyed it.... though I hate to remind you that you may never see another pint of it as most of the HD gelatos have been discontinued and disappeared from store shelves. All a mute point now as HD discontinued Limoncello Gelato for which I complained bitterly returning the 75c. coupons they sent to comfort me. Didn't work at all; still ticked off.